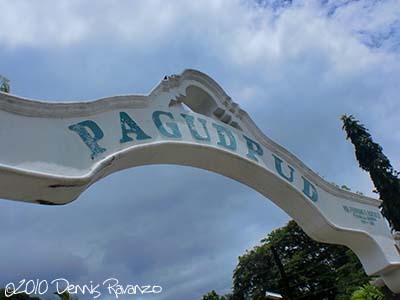 Travel Tip: As a traveler myself I would advise tourists to Pagudpud to choose a different hotel. It was the third hotel I got to spend time in during this trip and it was way below the standards of the province. Showers aren’t working (in at least two rooms I’ve checked), toiletries need to be requested, and service isn’t that good. On the bright side though their beach location is great and food is good (although serving time is a bit long). First things first, breakfast! Anyone who had run a marathon, or longer, would tell you that they’re always hungry right after the race. Unfortunately that fact doesn’t make cooking faster so these hungry runners still have to wait, patiently, for their breakfast to be served. 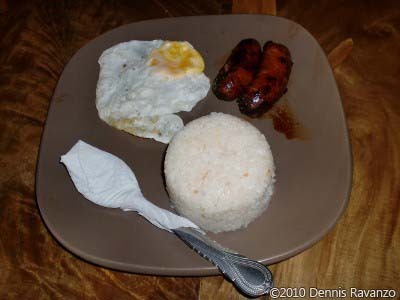 Since I’m in Ilocos I preferred their local Longaniza (or Longganisa, local sausage) served with egg. Of course no other sauce is perfectly fitting to an Ilocos Longaniza as the Ilocos vinegar! Yum! After a few minutes of playing frisbee with Roselle “Running Diva” we decided to do a “recovery walk.” It would’ve easily been a run if it wasn’t for the fact that the beach was uneven and you sink in the sands. This time around we were headed the other way from my last year’s route, towards where the PAU finish line was. There at the resort we saw a familiar face, Camille, women’s third runner up, enjoying the beach with a book. And after a brief chat Roselle and I headed back to where we started, totaling 1.6K for our recovery walk—a great way to relieve stress on our weary muscles. 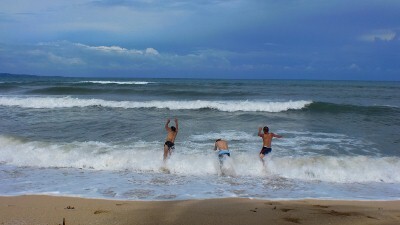 After everyone got freshened up it’s time to take that finale tour of Ilocos Norte. 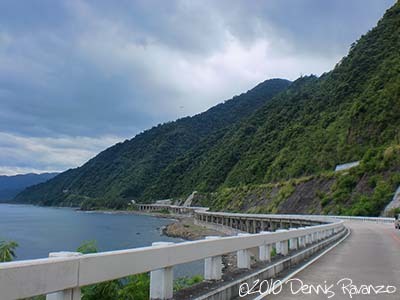 First stop, Patapat Viaduct. A viaduct is a bridge composed of several small spans. According to our driver/tour guide the viaduct was made to replace the old one way road that was often blocked by erosion. The road runs on the side of the mountain and as such is prone to erosion, and to once and for all resolve the problem a viaduct was made. 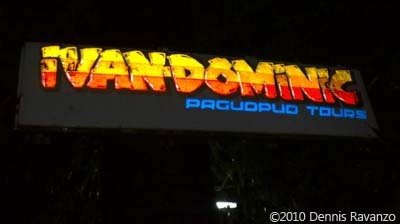 Not only did it widen the road and made traffic faster, the province also got an added attraction. Very nice indeed. 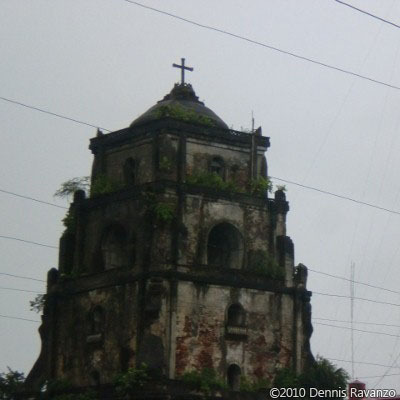 Henceforth, we were on our way back south, to Laoag. After that long winding, twisting road (that we never felt when we ran the route) we were back to that “infamous” Pagudpud arch. It was infamous for us as we thought we were very near when we crossed this arch, to find out we were still at least 9K away. Time to bid goodbye (for now) to this landmark. 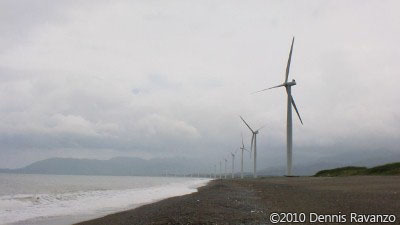 Then it’s off for the Bangui Windmills. This time around runners had more time to enjoy the place and of course take pictures. Mini windmills are available in the area as souvenirs and this is the best place to buy it (it is so much more expensive elsewhere). Because of our habit of taking too much time taking pictures, going further than Laoag is risky for those catching their flights. So our final stop for this tour: the sand dunes of La Paz. 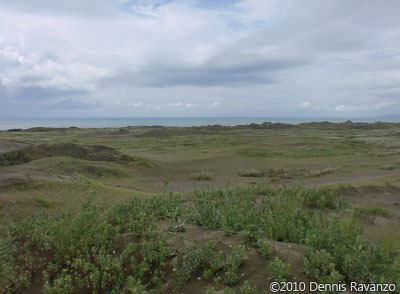 Because it’s the rainy season the sand dunes is much different than the last time I saw it. It’s much more like the beach rather than a desert (as it seemed last year). Nonetheless it still is nice to have a chance to reminisce on the place and get to see my friends enjoy the sights. 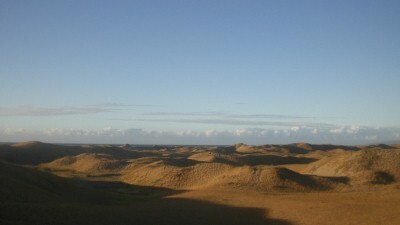 La Paz Sand Dunes: see how green it is now? 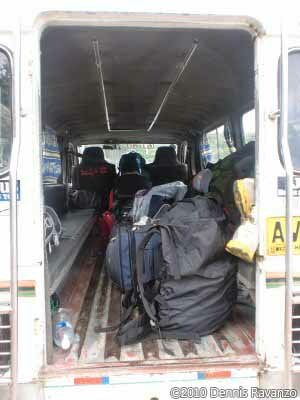 All along the way sporadic rain marked our path, and when we got to Laoag that’s when it poured. We were wishing hard for rains or at least slight drizzles during the race but it never came, and now that we’re on tour it poured! Since it was raining, and we’re already in Laoag the best place we can tour is in Museo Ilocos Norte. Those that had a chance to tour it earlier, myself included, decided to just stay in front of the museum. For most of us who had a flight to catch, it was off to Laoag International. For the rest of us who had a bus to catch, we still had some time to tour. First stop was the market of Laoag. I vividly remember the place like it was yesterday. Because it was raining I didn’t see the “chichacorn” stands in front of the market, and had to seek it inside. Personally I got Longaniza and vinegar, and some also got Bagnet. Travel Tip: Be careful when buying Ilocos vinegar as there are a lot of “fake” ones being sold. Fake in the sense that the vinegar isn’t the authentic formula, or probably not as pure. If you know of a native that knows how to buy one, ask for assistance. The scent of good Ilocos vinegar is distinctly strong. Since we (the bus riders: Emil, Ronnel, and I) were left alone to fend off for ourselves, we asked around for some good food (more on this later). We got a good referral but it was a bit distant and it was still raining so we got onto a tricycle (imagine three guys with huge bags fitting snugly into one) to get to the place. Unfortunately (?) Ronnel had butterfingers and his bag containing vinegar slipped, and yes it was a mess. And so there we were at the diner, a bit sad with what happened. Ronnel asked our server if we could buy some from their stock since we knew for certain they have, and it’s authentic. The proprietress was kind enough to give us one, yes for free! Later on Emil also wanted to have some vinegar for his Longaniza, but it would be too much for us to ask more so Ronnel decided to go back to the market and again buy some vinegar while waiting for our food. While waiting for Ronnel’s return Emil decided to have a taste test of the vinegar I bought. He even asked our server to taste if it was authentic and to my dismay it wasn’t! Our server mentioned it was so-so or good enough but it wasn’t “pure.” We can tell by the huge difference in the scent and subtle difference in color (Ilocos vinegar is dark but “fake” ones are darker, perhaps food coloring?). When we asked around for some good Ilocano food, that’s where locals referred us to. It is a tricycle ride from Laoag, and just a short walk away from Florida bus terminal. Upon arriving at the area we didn’t immediately notice this quaint little diner as its front is covered with foliage, and it was getting dark. Their menu isn’t as long as other diners in Laoag but they make up for it with good taste, authenticity, big servings, and affordable prices. 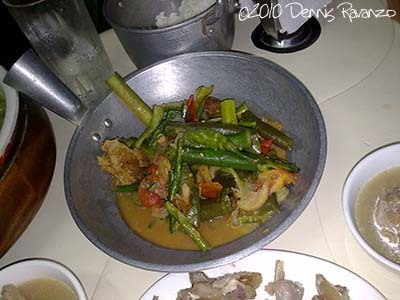 Our order: Pakbet, Bulalo (their specialty), and Dinakdakan, naturally with a 1L bottle of softdrink. The verdict: highly recommended. Aside from great service, they actually treated us like family. This is the hospitality Filipinos are known for, particularly in the countryside. It’s not just the place that is beautiful in Ilocos, it’s also the people. Something I always look up to whenever I return. To the proprietress and our server (whom we forgot to get the names), thank you very much for your hospitality, and the free vinegar! 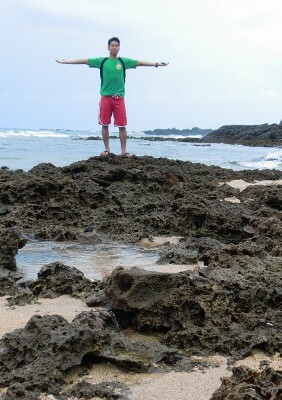 I promise to return next year (or sooner) when I get back to Laoag. After that delightful experience at Ivan Dominic’s we just walked towards Florida bus station where we had our reservation. Their Deluxe buses have lazy boys as seats and have lavatories. Fare to Manila (Cubao) costs ₱650 and travel time is 8 hours. We picked this liner because they allow seat reservation, have great buses, and are cheaper than other bus lines. 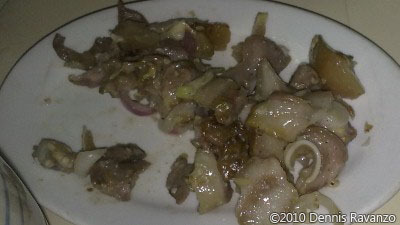 Dinakdakan is an Ilocano grilled dish similar to sisig made of pig’s parts (including the brain) with ginger, onion, chili, salt, pepper, and vinegar (calamansi or lemon juice as substitute) which is good both as a viand and appetizer (pulutan). I ate it three out of four days we were in Ilocos as a viand, practically every day, and I really enjoyed it. It’s the dish that best represents this trip, and it’s the reason why this chronicle is named as such. It’s a good thing I’m an ultra-runner—otherwise I’d be so guilty with all that calories (how much calories does a pig’s brain have? ).